2018 Computex-Jun.05-09 Thank You For Participating! COMPUTEX 2018 has ended on Jun 9th. 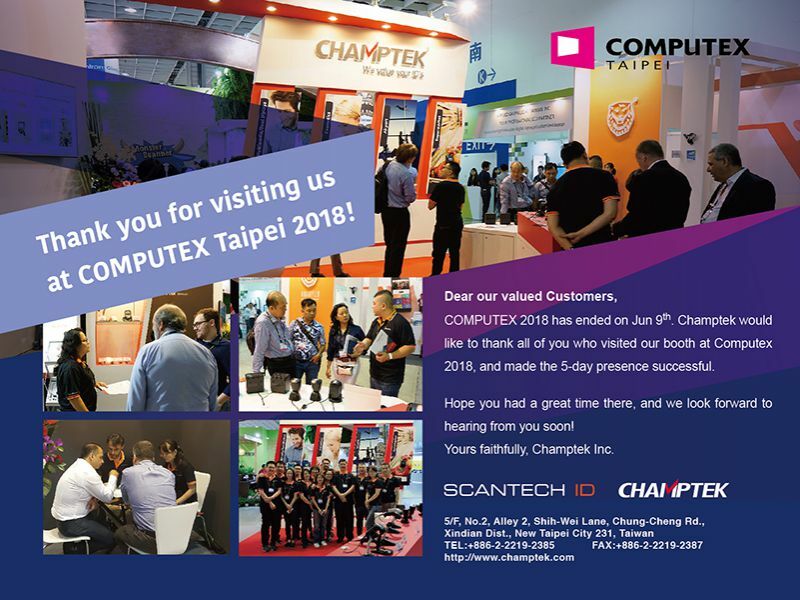 Champtek would like to thank all of you who visited our booth at Computex 2018, and made the 5-day presence successful. Hope you had a great time there, and we look forward to hearing from you soon!